Obscure contesants you're hoping to see make a cameo in future seasons? Who from the original cast are toi hoping to see cameo in future seasons? 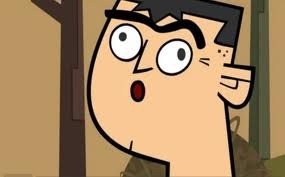 I want to see characters that have been in the montrer to still return like: Scott, Courtney, Duncan, Gwen, Heather, Lindsay and etc. but, since you're asking about characters that really haven't been in the montrer too much here's my list. Tyler, Noah, and Brick. Tyler because he's just HILARIOUS, Noah because he was only in, what 3 seasons? And brick because... I DUNNO!